Nov 2016: Republican Susan L. Pamerleau lost her re-election bid to Democrat Javier Salazar, a San Antonio police officer who had never previously sought elected office. Jul 2016: Sheriff Susan L. Pamerleau faced inquiries about four suicides in the Bexar County Jail from June 28 to July 22. Mar 2016: The Bexar County Deputy Sheriff’s Association Union called for a vote of no confidence in Pamerleau. Sep 2015: Twelve of Susan Pamerleau’s deputies have been arrested since January of 2015. Nov 2012: Susan L. Pamerleau was elected the first woman sheriff in the history of Bexar County, Texas. She left the Civil Air Patrol Board of Governors. Montgomery, AL – The Civil Air Patrol Board of Governors welcomes two new members – retired U.S. Air Force Maj. Gen. Susan L. Pamerleau and retired Air Force Brig. Gen. Sanford “Sandy” Schlitt. Both Pamerleau and Schlitt are appointees of Michael B. Donley, secretary of the Air Force, and Maj. Gen. Amy S. Courter, CAP national commander, who cited them for their expertise in the areas of governance, strategy, aerospace and fundraising. 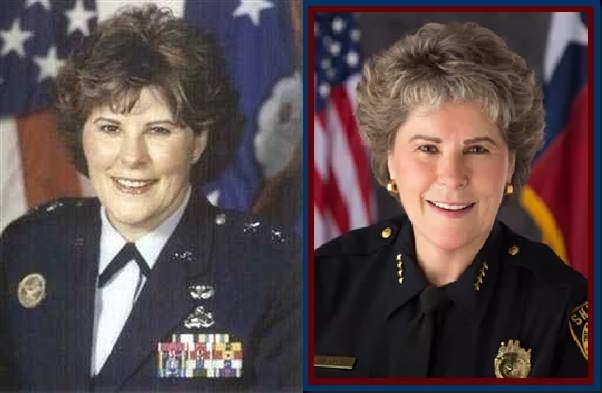 Pamerleau, who serves on the Board of Directors with the Government Personnel Mutual Life Insurance Co. in San Antonio, Texas, concluded a 32-year career with the Air Force in 2000 as a commander, planner and programmer, and human resources professional. She also serves as a trustee with the Air Force Aid Society, the official charity of the Air Force, and has chaired the board of trustees for Arnold Air Society/Silver Wings, the service organization for Air Force ROTC and Air Force Academy cadets. Schlitt, the Air Force Association’s vice chairman of the board for aerospace education, served for 34 years in a variety of Air Force, Air National Guard and Reserve assignments, principally in the contracts management and acquisition fields. He retired in 2001. Schlitt was a principal architect of the Aerospace Education and Field Councils as part of AFA’s new, combined governance structure, adopted in 2006. He has established or purchased several successful businesses. He served as chairman of the board of one company and was a member of the board on another, a NASDAQ-listed public company. Both Pamerleau and Schlitt will serve three-year terms on the Board of Governors, CAP’s strategic policy-making and guidance body. In addition, Paul L. Graziani, chief executive officer and co-founder of Analytical Graphics Inc., who just completed his first term on the board, has been reappointed to a second three-year term. The board is a team of expert advisers consisting of representatives from CAP volunteers, the U.S. Air Force and civilians involved in education, aviation and emergency management. As three of 11 members of the board, Pamerleau, Schlitt and Graziani join other distinguished Air Force, CAP and civilian advisers, including Courter and Air Force Maj. Gen. Garry Dean, commander of Continental U.S. North American Aerospace Defense Command Region-1st Air Force and Air Forces Northern. The other members are retired Air Force Maj. Gen. John M. Speigel; retired Air Force Lt. Gens. John D. Hopper Jr. and Nicholas B. Kehoe; CAP Brig. Gens. Richard L. Anderson and Reggie Chitwood, national vice commander; and CAP Lt. Col. Edward F. “Ned” Lee, who was appointed to the board earlier this year. 4 Comments on "Susan Pamerleau Appointed To CAP’s Board Of Governors"
Could you tell me what style you have chosen for your site? It looks nice. Like a Bad Penny, Susan Pamerleau is back! U.S. President Donald Trump nominated Pamerleau to be the United States Marshal for the Western District of Texas and the Senate confirmed her by voice vote on August 28, 2018. Can you explain the game of musical chairs with the Civil Air Patrol Board of Governors? If one of your contributing authors could write a crisp article listing the date by date changes in the makeup of the Civil Air Patrol BOG mushrooms, I bet your readers would get something out of that. Just a thought.